Guard tracking software and a real-time, mobile reporting system are a must for any security guard service that hopes to compete in today’s market. Your clients now expect a real-time guard management app so they don’t have to wait days, or weeks, or AT ALL for reports and proof that their interests are secure. Furthermore, you need GPS guard tracking software to streamline your officer management system; to grow more quickly and efficiently without your daily administrative issues—many of which are crucial to a successful security guard service—falling through the cracks! 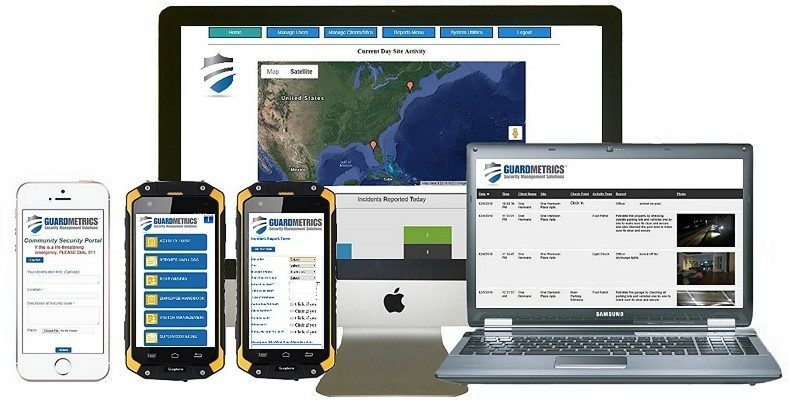 GuardMetrics-PatrolTrack mobile guard tracking software is the perfect solution for a security guard service who seeks an affordable, yet very capable, means to compete. It tracks your guard tours and patrols receives, and stores, reports from your officers from any smart-device, including their personal devices, if need be. It is even branded with YOUR COMPANY logo and name. It also has a couple features that none of the most expensive officer tracking systems can deliver! Demo GuardMetrics-PatrolTrack guard tracking and reporting software! One of the most unique and dynamic features of the GuardMetrics-PatrolTrack is the Community Security Portal. This feature allows you to provide a layer of security to your clients that very few competitors can offer, as no other security guard tracking software company that we are aware of offers this! With over 80% of your competitors offering real-time GPS security guard tracking and reporting software, won’t it be nice to include a truly crucial feature to your clients, that only perhaps 1% of the security guard apps can deliver? Another unique and innovative feature that our clients love, included in the GuardMetrics-PatrolTrack guard tracking software at no additional cost, is the “Task Management Report”. The Task Management Report is a very efficient feature that allows your officers and/or supervisors to submit things like, “Client says I need a new uniform” or “cruiser leaking coolant” or “Officer Smith requesting day off”. These reports then populate a “Task Management Calendar” that your management and admin staff (if you choose) have access to. They can then update the submissions, move them to a different date for follow-up, close them, or assign them to particular personnel! 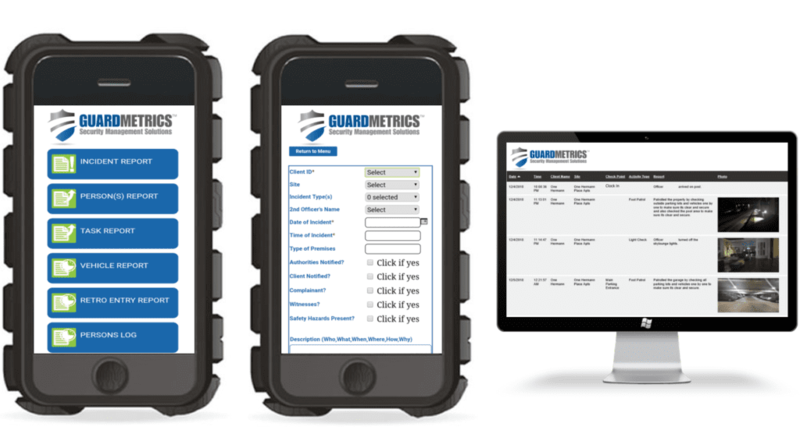 Call us to see how the innovative GuardMetrics-PatrolTrack guard tracking and reporting software can serve you! Having been developed by, and with, security guard service veterans, the GuardMetrics-PatrolTrack guard tracking software does all of the things you need a real-time officer management software to do, and it does it all in a very user-friendly manner. You can have GuardMetrics-PatrolTrack deployed after about 45 minutes of training. Click here, or call, for a security guard tracking software app that works on Android, iPhone, Google Phone; ANY smart device, including your officers personal phones.